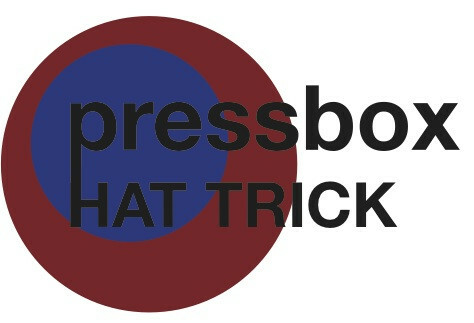 The second episode of the Pressbox Hat Trick: The Podcast . This week Julian McKenzie, Tristan D’Amours and Vince Morello talk about the Stingers’ playoff hopes and their rivalry with McGill. Also on tap are talks about the Montreal Impact, and the blockbuster trade between Winnipeg and Buffalo. Enjoy! Robertson is a coach for the Midget AA Lac-St-Louis Selects for the Ligue Hockey Feminin du Quebec. 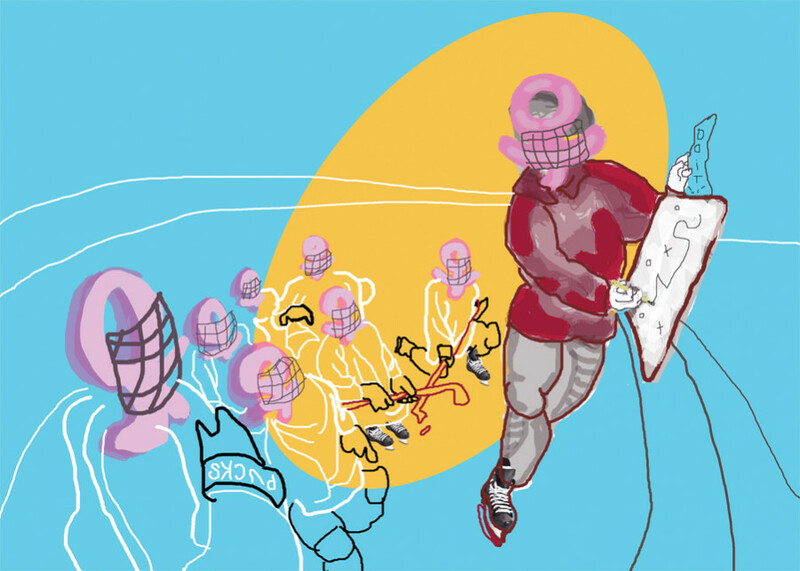 In a male-dominated field, women are often overlooked as hockey coaches. Some may not see the positive impact we have on adolescent women. There is only so much a father-turned-coach can teach a girl’s hockey team. For the past four years that I have been coaching, I have been the only female coach in Lac Saint-Louis at the competitive level. Not many have realized that as former athletes, we can teach these girls much more than anyone can imagine. According to the Coaching Association of Canada, women only hold 19 per cent of head coaching positions. 19 per cent of Canadian women participate in sport, compared to 35 percent of men. While girls’ teams with male head coaches have been successful, it takes more than just physical preparation to win games. As women, we understand the psychological makeup of young girls. The life experiences that girls go through are very different from that of boys. They’re taught to act and think differently. It’s important for a coach to understand how a girl mentally prepares for her sport. This is where we as female coaches come in. We are there to share our knowledge with the girls and give them an experience of a lifetime. Hopefully, this will encourage them to continue with their competitive natures and take up coaching themselves. The values and leadership models that are currently in place are based off on a system where males hold these head coaching positions. We as women need to change this model for the young girls we coach. A new system must be created based on them. The female view of competition and independence needs to be changed as well. 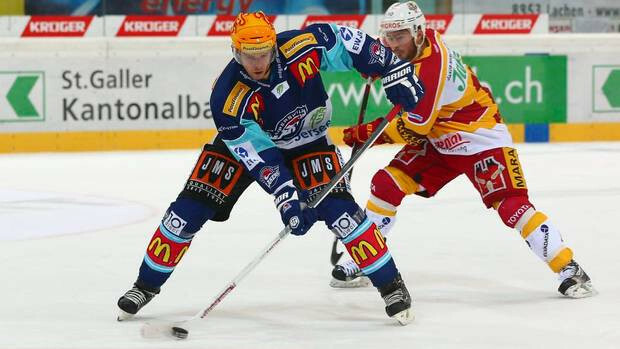 The traditional model has shaped the sport culture to suit men’s hockey. It’s time for change, a time where the girls have their own system where they can feel important. This starts with us, the female coaches that are willing to step up and be leaders. Since there is a significant lack of women in coaching positions in girls’ hockey, this process may take a while before it takes off. A program needs to be put in place to support the female coaches, like myself, that dream of moving up and being behind the bench of the national team. The Coaching Association of Canada is trying to combat this problem and aims on increasing the number of coaching opportunities for women. This program is giving coaches the opportunity to experience their sport on another level. There are apprenticeship programs and team workshops that coaches can attend to further enhance their knowledge. According to studies done by the CAC, since the late 1980s, close to 500 female coaches have received more than three million dollars in the form of development grants and even National Coaching Institute grants. There are people willing to help women make a difference in the lives of the young women we coach. We need to stand our ground as leaders and prove how important we are. Although men lead this profession, this is our time to change the value system and mould it towards young women. One day we will stand, leading our team on the ice in proper roles as head coaches. If I told you at the beginning of the season that the Atlanta Hawks would have a commanding lead in the Eastern Conference going into the All-Star game, you would’ve thought I was crazy. The NBA All-Star Weekend is upon us and the Hawks have a 42-10 record and are seven games ahead of the Toronto Raptors, who are second in the Eastern Conference. What makes the Hawks inherently unique is that they don’t have a prototypical superstar. Instead they have a well-balanced and underrated team. The Hawks have been able through the years to assemble a number of high-quality players. One of these players is Kyle Korver. At age 33, Korver is having arguably the best year of his career and is one of the primary reasons why the Hawks find themselves in first place. Korver was the 22nd pick of the second round in the 2003 NBA draft (51st overall), out of Creighton University. Korver primarily plays shooting guard and small forward. He’s mostly been a journeyman throughout his career, playing for the Philadelphia 76ers, the Utah Jazz, the Chicago Bulls and now the Atlanta Hawks. 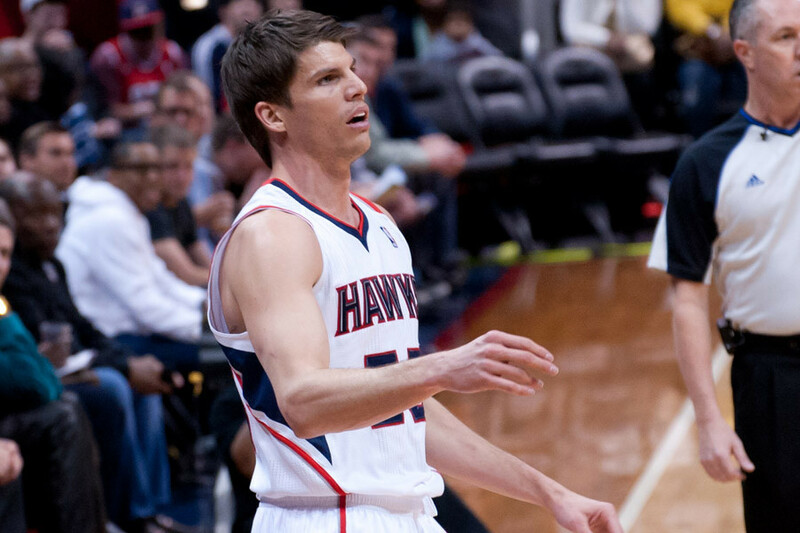 This is Korver’s 11th year in the league and he’s averaging 12.9 points per game. That may not seem very impressive on the outset but it’s how Korver accumulates his 12.9 points per game that makes him an extremely valuable player. Korver is leading the league in three-point percentage at 53.1%. He also led the league in three-point percentage in the 2009-2010 season and the 2013-2014 season. Korver, however, has always been known as an extremely good three-point shooter. It’s the reason he’s been in the league for the last 11 years. TS% is an advanced stat that takes into account two-point field goals, three-point field goals, and free throws. This is a more accurate way of measuring one’s shooting ability because it takes into account all aspects of shooting. The TS% is also a statistical category that is predominantly dominated by the big men. Korver, for example, is the only player in the top 10 of the TS% rankings that is not either a power forward or a centre. He’s also not doing this on a small amount of minutes. This year, Korver is averaging 35.7 minutes per game and just to put things into perspective, Steph Curry (33.2) and Kevin Durant (33.5) average the same amount of minutes per game. What makes Korver’s 2014 season even more impressive is that he doesn’t need to have the ball in his hands to be effective. Korver’s USG (Usage Percentage) is at 14.2. USG is the estimated percentage of plays a player will take up, when he is on the floor. The lesser, the better. Why? Because the fewer amount of plays a player will take up, the more amounts of plays can be distributed throughout the rest of the team, essentially meaning that since Korver takes up very few amounts of plays, the more plays can therefore be distributed to Paul Millsap and Jeff Teague. This is obviously not to suggest that Korver is the best player on the Hawks or that he is the primary reason for their success. It is rather to provide one of many possible answers for the Hawks’ success and to bring attention to one of the more underappreciated players in the NBA. The first episode of Pressbox Hat Trick: The Podcast. Julian McKenzie, Tristan D’amours, and Vince Morello tackle different topics from the CIS, to the NHL, to the NFL, and more.